The European Foundation for Quality Management (EFQM) Excellence Model, is a self-assessment framework for measuring the strengths and areas for improvement of an organisation across all of its activities. The term ‘excellence’ is used because the Excellence Model focuses on what an organisation does, or could do, to provide an excellent service or product to its customers, service users or stakeholders. While its origins lie in the private sector, public and voluntary sector organisations can also benefit from using the Excellence Model. It is non-prescriptive and does not involve strictly following a set of rules or standards, but provides a broad and coherent set of assumptions about what is required for a good organisation and its management. Each organisation can use it in its own way to manage and develop improvement, under the control of those who use the methods rather than an external evaluator. Customer 1 Results, People Results and Society results are achieved through Leadership driving Policy and Strategy, People, Partnerships and Resources leading ultimately to excellence in Key Performance Results. Each of the nine criteria is subdivided to describe in more detail the concept of ‘Excellence’ in that area and to examine how well an organisation is doing through a list of practical questions to ask itself. The starting point for most organisations is to gather evidence relevant to the nine criteria of the Model. This involves asking, for each of the criteria, ‘How good are we and how could we improve?’ Evidence may take a variety of forms depending upon the organisation. The National Council for Voluntary Organisations (NCVO) suggests that each organisation will need to find a method for using the framework that suits them best. Questionnaires based upon the Model. A workshop approach where evidence is gathered from across the organisation on how the nine criteria are being met. An approach in which the organisation produces a detailed document describing what it is doing under each of the criteria and sub-criteria. An approach for a small organisation or small teams within a larger organisation, involving half-day sessions working through the Model to gain a rapid picture of where it stands under the various criteria. Once this self assessment exercise has been initiated, the organisation can take action to improve its performance with help from the guidance contained in the Model’s relevant publications or further training in the area that needs improvement. The British Quality Foundation (BQF) has also developed a software tool called ‘BQFsnapshot’ that will run on most Windows-based computers. It is intended to provide a quick and simple way of finding out how your organisation measures up to the characteristics of Excellence. Although most organisations concentrate on improving their performance using the Model, it is possible to ‘score’ performance against the criteria, providing an internal benchmark of improvement over a period of time. The Excellence Model provides a holistic framework that systematically addresses a thorough range of organisational quality issues and also gives attention to impacts through the ‘results’ criteria. It provides a clear diagnosis of an organisation’s activities and is useful for planning as it makes links between what an organisation does and the results it achieves, highlighting how they are achieved. It is flexible enough to be used in bite-sized chunks or for specific issues – e.g., an analysis of an organisation’s environmental policy in less than a single day as well as providing a framework for a comprehensive review of all the organisation’s activities over several months. There is no requirement for external validation and the Excellence Model can be used as an internally driven self-assessment tool allowing an organisation to be as honest and as open as possible in gauging its performance. ‘Scoring’ can provide an organisation with an internal benchmark for its next self assessment, in order to capture trends. It can also be used among organisations for some external benchmarking and comparison. The Excellence Model stresses the importance of consensus in assessing an organisation’s strengths and areas to improve. Although there is an option for ‘scoring’ and an Awards Recognition scheme, they may be expensive for smaller social enterprises to enter. There is no formal mark or accreditation for the Model and it will not be overtly visible or recognisable to customers, service users, funders and other stakeholders. However EFQM does offer awards to organisations, showcasing winners through its website and networks. Though it has been used successfully by a number of medium and large voluntary organisations, it was initially developed for the commercial sector and some of the language of the Excellence Model may not translate easily to social enterprises or voluntary organisations. There are limited examples of use by third sector organisations. Who can use the Excellence Model? The Excellence Model has wide applicability to organisations in all sectors, of any size, in all stages of development. It can be used in a bite-sized format or for organisations seeking to understand some or all of their activities. It is possible for the Excellence Model to be facilitated by one individual. Many organisations that have used the Excellence Model often form a small cross-functional team (3–4 people) to lead. Good relationships with staff will ease the process as they are likely to be involved in some fashion in undertaking the Excellence Model. In keeping with its ‘Leadership’ criterion, active involvement of the management and senior figures in an organisation will be required. These will vary depending on how the organisation approaches the Excellence Model. 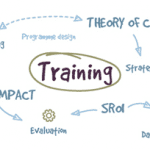 In general no specialist skills are required although many organisations seek outside training for staff in using the framework or choose to engage an external facilitator to guide the process. Strategic thinking and analytical skills will be useful. Familiarity with software packages will enable the organisation to use BQFsnapshot for working through the Excellence Model, but this is optional. Once learnt, self-assessment against the Excellence Model can be completed very quickly – within days for a very basic assessment. However, as a diagnostic tool it highlights areas for action and the time needed to address those action points will vary among organisations and may take several months. Organisations can involve paid and voluntary staff, service users, customers and other stakeholders in the process. Part of the logic behind the Excellence Model is regular assessment and review. Some users conduct annual assessments as part of their ‘business planning’ process. The European Foundation for Quality Management (EFQM) owns the intellectual property of the Excellence Model. It is a not-for-profit membership foundation based in Brussels and was set up in 1989 by the CEOs of large European businesses. Provides a review of quality models, including the EFQM Excellence Model, its background, method, benefits and limitations. 2 Those results, not covered by Customer, People and Society that it is imperative for the organisation to achieve. 3 EFQM describes this as “managers and leaders set up ways of working that get everyone involved in never-ending improvement in the meeting of internal and external customers’ needs”.